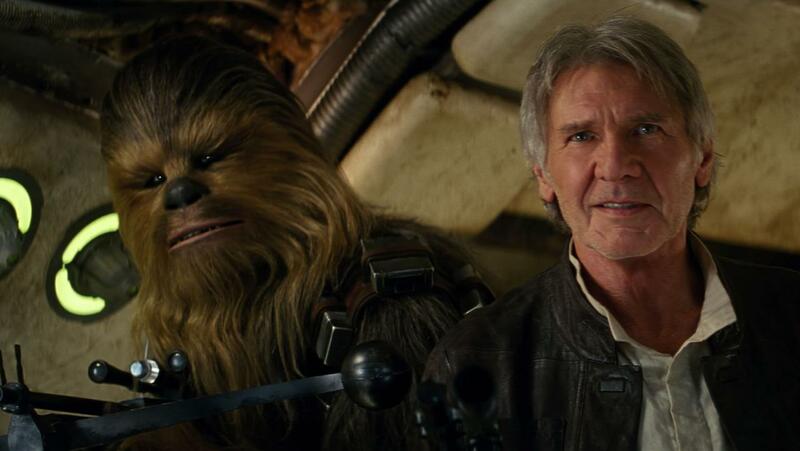 To say that the world has been patiently waiting for Star Wars: The Force Awakens to come to life is an understatement. Gladly enough the wait is over and the film is worth every year, minute, and second that fans waited because it delivers on all aspects. The film takes places 30 years after Star Wars: Return of the Jedi left off. Director J.J. Abrams was only 17 years old when that film was released in 1983 and it is evident that he carried his teenage nostalgia and sentiment and brought it to life in this new one. 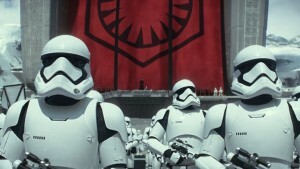 The First Order has risen to power led by both Kylo Ren (Adam Driver) and General Hux (Domnhall Gleeson) who are being commanded by Supreme Leader Snoke (Andy Serkis), a figure head that knows all and sees all and wants the Resistance to be destroyed. It’s been years since Darth Vader’s death and the culmination of Luke Skywalker (Mark Hamill) realizing that he was related to Princess Leia (Carrie Fisher) and subsequently her marriage to Han Solo (Harrison Ford). Leia is now leading the resistance and seeking to find her long lost brother Luke. She sends X-wing pilot Poe Dameron (Oscar Issac) to the planet of Jakku to find a mysterious map that will uncover his whereabouts. 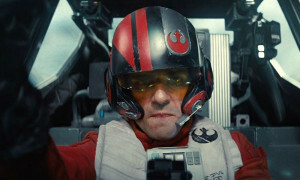 Poe hides the map in his droid BB-8, a little ball-like robot that is loyal to a fault and what happens from here is the First Order’s chase to find both. Stormtroopers have always been known to be the hench men that carry out the bad guys’ evil orders, never retreating back or disobeying orders, but there is one FN-2187 who has a conscious. Unable to shoot people and carry out the First Order’s malicious plans anymore he defects and ends up as Finn (John Boyega). 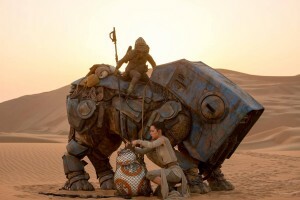 He joins the Resistance, almost unknowingly, and ends up meeting Rey (Daisy Ridley), a scavenger from Jakku who is handy with electronics and smart as a whip. The two form a friendship that will remain as timeless in movie history as Leia and Luke (yet these two aren’t related, at least I don’t think so) and create legions of new Star Wars fans. Along their journey to keep BB-8 safe, they face bad guys like Kylo Ren and meet the legendary characters of Han Solo, Chewbacca, R2-D2 and C3-PO. The fact that the film is centered on these two unlikely heroes who met for the first time in a dusty planet far, far away makes the story feel similar to the originals. Not one moment felt forced or contrite, instead it felt like every scene was paying homage to the original films without making the new one feel, what’s the word I am looking for, lame. To have walked out of the theater feeling duped and unsatisfied (cough, cough think Star Wars: Phantom Menace) would have been a travesty to all the fans, but this film did just the opposite. I left feeling giddy and happy like a little kid reliving the first time I saw the original films. My smile beaming from ear to ear, all I needed was a cherry lollipop and some Star Wars stickers to make me feel complete again. One of my favorite aspects of the film was how it kept much of the editing and camera work similar to the originals. There were many wipe transitions, that classic editing style where one side of the frame is replaced by another, this was used in old Sci-Fi and 80’s flicks and one George Lucas commonly employed. Many of the camera shots were low angle, where the camera is angled to look up at the actor causing them to look bigger in the frame (think Darth Vader in the originals) this was used many times whenever General Hux or Kylo Ren entered the picture. Abrams was deliberate and smart for using these techniques because it helped pay homage to the originals without looking to modern so if one were to sit and watch all the movies in a row it won’t feel disjointed and odd. I loved the addition and the highlighting of a strong female character in Rey. I always wanted Leia to have a little more oomph and Rey gives us just that and more. Ridley brought strength and warmness to the character and was able to play off of heavy-hitter Ford with no problem and only helped further enhance his scenes. 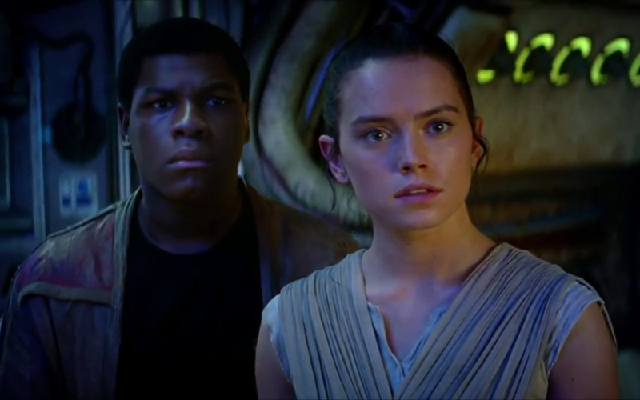 Boyega brought a lot of personality to his character and the film and interjected with some of my favorite lines. Together the two newcomers worked well off each other and brought a ton of chemistry and likeability to the film. 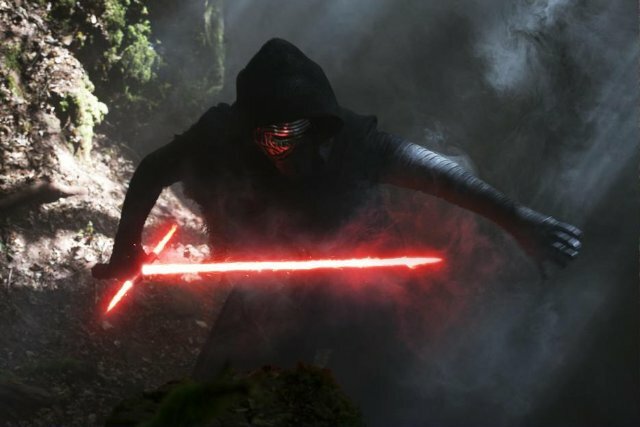 Driver gave Kylo Ren that mixture of vulnerability and evilness and it worked just right, hats off to him for scoring the role of a lifetime. Another one of my favorites was Issac, who in my eyes always delivers as an actor. He made Poe seem fun and exciting, yet heroic and loyal and I loved seeing him interact with Leia. Who wouldn’t want to join the resistance after meeting him? And who cannot forget BB-8, the little ball of fun that stole the show, I think he was my favorite aspect of the whole film. 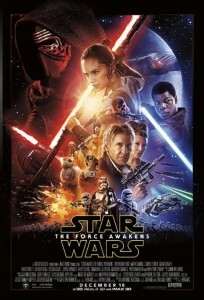 I encourage every lover of cinema to go see this movie; whether or not they are die-hard Star Wars geeks (I mean fans). Viewers need not go in to the film knowing every bit of Star Wars history to enjoy it, I know that can seem intimidating to some who are not that invested, so if that is you don’t let that stop you from seeing it. Star Wars: The Force Awakens was a fun, thrill-ride of a movie and not one minute of it is time wasted. Do yourself a favor, use the force and score yourself some popcorn and tickets and go see this movie.